Chalk this up as one for the record books — three major tradeshows on two continents during the same week. The NAB exhibits opened from April 9 to 12, 2018 in Las Vegas. 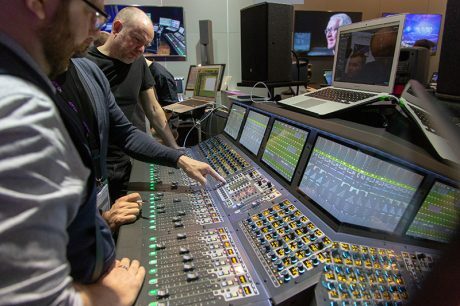 Meanwhile, Frankfurt, Germany’s Prolight+Sound kicked off the next day, from April 10 to 13, while the M.I.-oriented Frankfurt Musikmesse, was held on the same expo grounds (in different halls) from April 11 to 14. One could argue that all three shows serve different markets, but there’s a fair amount of overlap between the three. In terms of live sound, NAB had no line arrays, but plenty of production essentials such as mics, consoles, intercoms, cabling, wireless and test gear. Representatives from Audio-Technica, Sennheiser and Shure (among many others) all reported a heavy turnout and brisk business at NAB. Of course, NAB’s visual emphasis is great for sound companies that offer video services, and there were plenty of the latest switchers, projectors, lighting gear, displays, grip and high-def cameras. 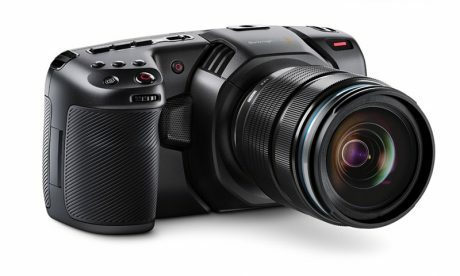 In terms of the latter, the hottest product at NAB was Blackmagic Design’s (www.blackmagicdesign.com) new Pocket Cinema Camera 4K, featuring 4K resolution, 10-bit ProRes and 12-bit RAW recording, MFT lens mount, 5-inch touch screen monitor, four built-in mics, mini XLR audio input with phantom power, HDMI monitoring output and 25,600 ISO low-light performance. A USB-C expansion port lets users record to SD/UHS-II and CFast cards or directly to external disks. Retail is an unbelievable $1,295 when it ships later this year. Across the pond, the mood of Prolight+Sound exhibitors was positive. The show was busy and attendance numbers seemed good, although perhaps a bit lower than last year due to the overlapping NAB show. 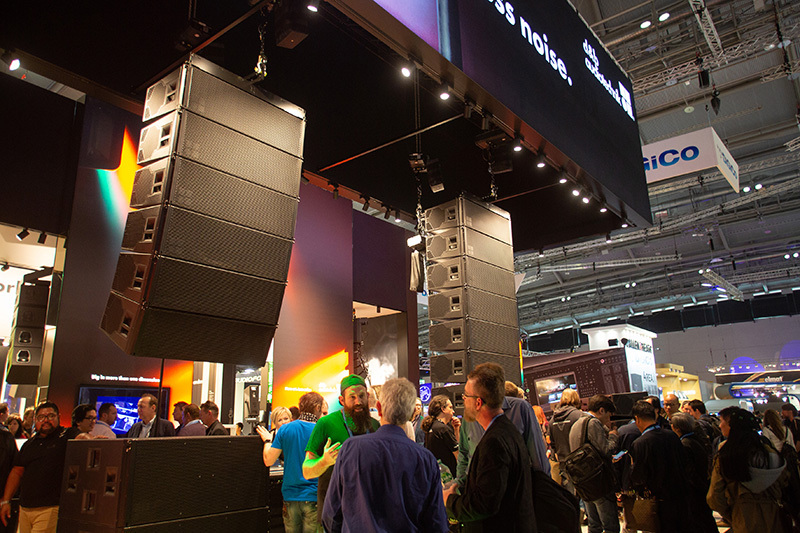 Musikmesse was considerably slower than past years and many attendees blamed the exhibit days that are out of sync with the Prolight+Sound show in the neighboring halls. Aware of the attendee and exhibitor reactions, organizers Messe Frankfurt made a post-show announcement that for 2019, it will return to holding both shows on the same days (April 2 to 5, 2019) — a major convenience to all concerned. Thankfully, next year’s NAB will be the week after, with exhibits from April 8 to 11, 2019. 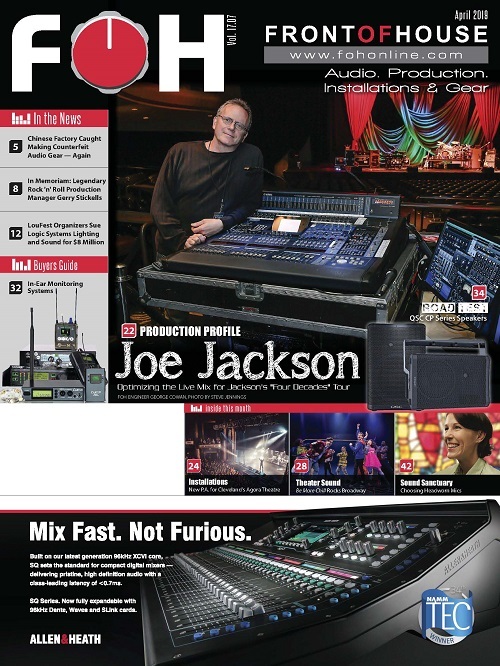 New digital mixing console technology debuts were a hot topic for attendees at both NAB and Prolight+Sound. Allen & Heath (www.allen-heath.com) unveiled new PRIME I/O modules for its flagship dLive mixing system, with an Input Mic Pre module and a Line Output module. Designed to be fitted in the dLive DX32 expander rack, PRIME can be used easily in conjunction with existing I/O and will harness the full potential of the dLive’s 96kHz XCVI FPGA core. As a plus, Allen & Heath’s dLive console took the honor of “Best Live Sound Product” at the annual MIPA/PIPA awards held in Frankfurt. Congratulations on this team effort! 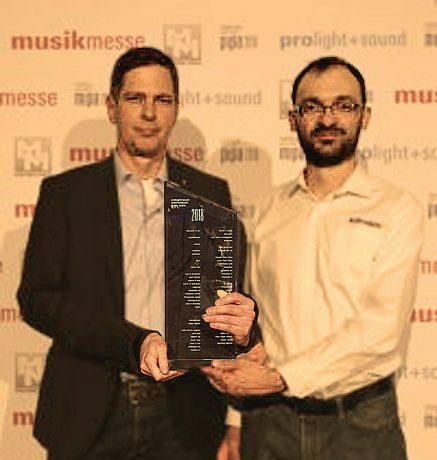 Allen & Heath’s Markus Sinsel and Nicola-Baretta with the dLive mixer’s PIPA honor for Best Live Sound Product. Avid (www.avid.com) unveiled a massive expansion of its VENUE | S6L family of live sound systems, with three new control surfaces, a new engine and two new I/O racks — all on a unified platform with 100% show file compatibility. 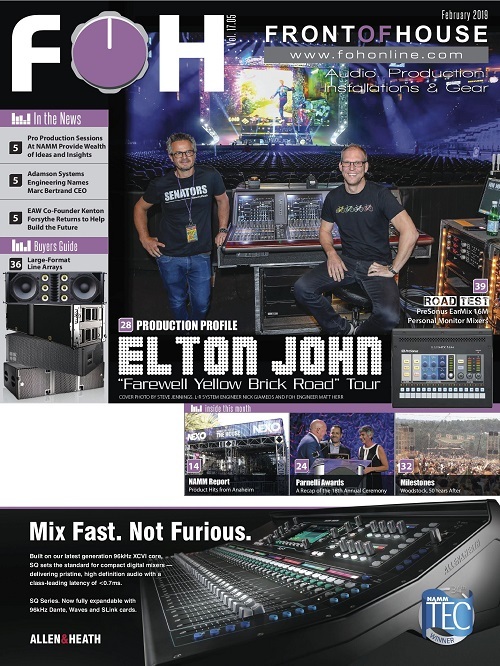 Five available surfaces (with 16 to 48 faders) include the new S6L-48D, S6L-24C, and S6L-16C, which can be paired with a choice of three engines, including the new E6L-112, and connected to any combination of four I/O rack options, including the new Stage 32 (with Dante support) and Local 16. Availability is slated for summer 2018. Cadac (www.cadac-sound.com) marked its 50th anniversary with an array of new products including the CDC five and 128-input/64bus CDC seven-s consoles, a V. 5 CDC OS software update, CDC I/O 4016 stagebox and MC optical bridges, NetCOMMS control software and an iPad app for CDC remote operation/mixing. Cadac debuted its CDC five and CDC seven-s consoles. d&b audiotechnik (www.dbsoundscape.com) announced a series of integrations between Soundscape’s central DS100 Signal Engine and digital mixing consoles from DiGiCo, Avid and Lawo. The d&b Soundscape plug-ins will be available for the complete DiGiCo SD-Range, the Avid VENUE S6L and the Lawo MC2. The integration with Avid will also include a Pro Tools plug-in. Lawo (www.lawo.de) unveiled the third generation of its mc²56 production mixer. 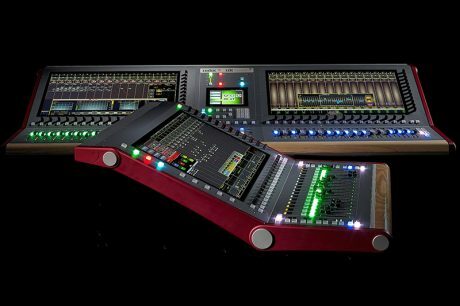 The new mc²56 incorporates features from the flagship mc²96 console while retaining the compact size, flexibility and versatile design that addresses applications ranging from remote trucks and studios to live performance. Available in frames from 16 to 112 faders, the mc²56 supports up to 8,192 x 8,192 crosspoints, 888 DSP channels, 144 summing buses and 128 aux buses at up to 96k Hz operation. Native support for SMPTE 2110, AES67/Ravenna and Dante are standard. 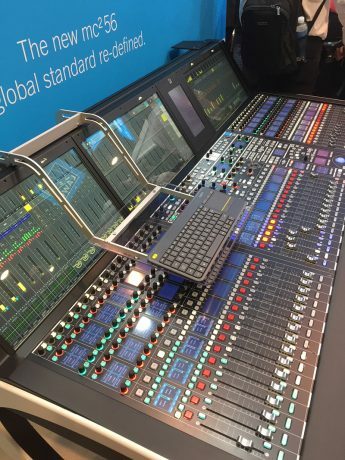 Lawo showed the third generation of its mc²56 console. myMix (www.mymixaudio.com) showed its myMix II network based, personal monitor mixing system for up to 500 audio channels, with integrated multi-track 24-bit/48 kHz recording/playback options. New enhancements ensure ultra-quiet performance, as well as Dante capability for connectivity via any format — Dante, MADI, ADAT, analog mic/line — and interoperability with any digital console on the market. 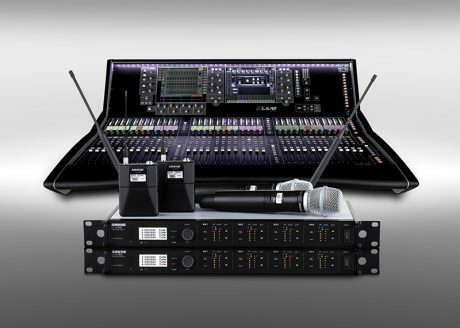 Shure (www.shure.com) and Allen & Heath (www.allen-heath.com) announced a collaboration to enable monitoring/control of Shure’s ULX-D and QLX-D wireless systems from A&H’s flagship dLive digital consoles. New dLive V1.7 firmware lets engineers monitor supported Shure wireless systems without leaving the mix position. All essential wireless data, including mutes, signal level and battery bars, is visible from Bank screens, allowing simultaneous monitoring of multiple channels. 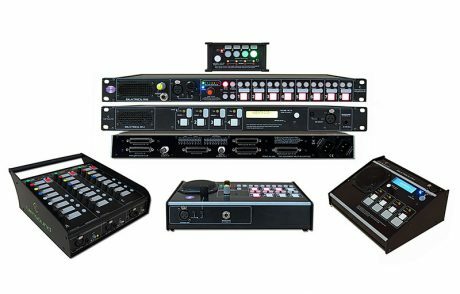 New firmware for Allen & Heath’s dLive offers remote control of Shure’s ULX-D and QLX-D wireless systems. 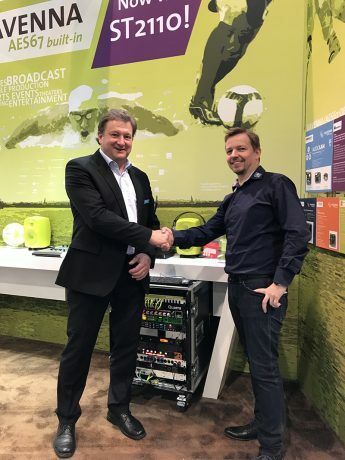 Stage Tec (www.stagetec.com) became the latest manufacturer to join the Ravenna partnership, to offer a wider spectrum of IP solutions to its users. Combined with last year’s RIF67 Router Interface launch, Stage Tec also offers IP audio transport via AES67. Waves Audio‘s (www.waves.com) SoundGrid Rack plug-in for VENUE lets engineers run Waves plug-ins directly within Avid’s S6L mixing console with tactile control from the console surface knobs and integration in the VENUE software, thus eliminating the need for a computer host or an external network switch. Users can load eight SoundGrid-compatible Waves plug-ins per instance, for up to 128 mono or 64 stereo SoundGrid Racks within the S6L, each containing eight plug-ins. 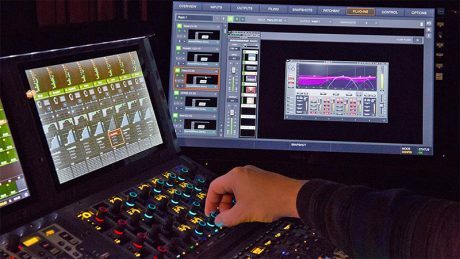 Avid’s S6L mixer can control Waves plug-ins from the console surface via a new SoundGrid Rack plug-in. 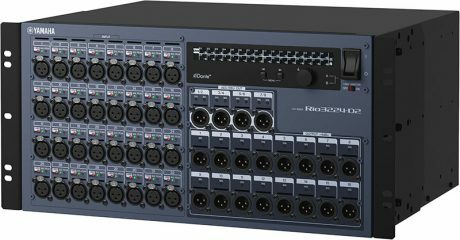 Yamaha (www.yamahaproaudio.com) unveiled Dante-equipped Rio3224-D2 and Rio1608-D2 I/O rack units for its RIVAGE PM Series, including the new RIVAGE PM7 digital mixing system, but also useable with its smaller CL and QL consoles. Prolight+Sound remains a major vehicle for new developments in sound reinforcement speakers and this year’s show did not disappoint. Adamson Systems Engineering (www.adamsonsystems.com) introduced its Advanced Certification training program. Recommended for touring system engineers and integrators that regularly utilize Adamson E-Series and S-Series speaker systems in large-format deployments, the new course delves deeper into aspects of design and control while also discussing electro-acoustic concepts and applications. 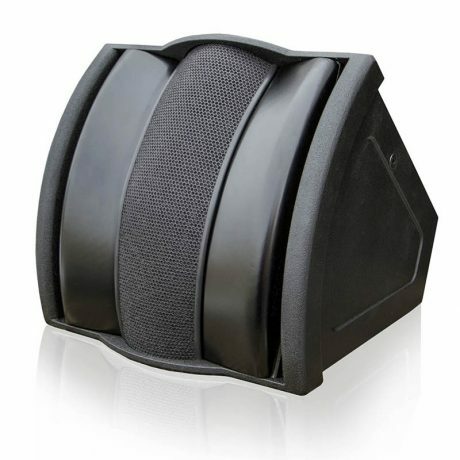 Clair Brothers (www.clairbrothers.com) launched its 10SPOT hybrid loudspeaker, a compact enclosure combining Clair’s Curved Array Technology with its One Series coaxial horn. Wide bandwidth, wide dispersion and four integral mounting points make it suited for installation near ceiling-to-wall intersections in club/bars, performing arts centers, houses of worship, arenas and auditoriums. Shipping begins this summer. 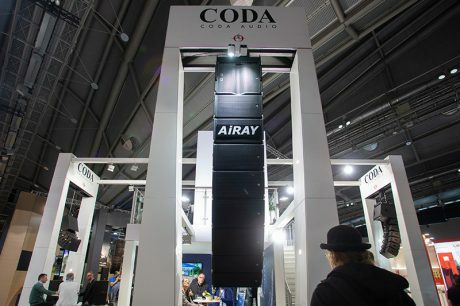 CODA Audio (www.codaaudio.com) unveiled its new U Series, with three new multi-purpose subwoofers — the single-12 U12 and U12i (a slimline wall-mount version) and the compact single-15 U15 universal sub. All feature high power handling and ultra-low distortion woofers for tight, accurate bass. The new models complement the existing U4-SUB, a high-output double-18 box. Optional CODA Audio LINUS amps add DSP control, network remote control and diagnostics. Crest Audio’s (www.peaveycommercialaudio.com) Versarray PRO powered line array is comprised of the Versarray PRO VR112 line array element with a smooth ribbon MF/HF element and the VR-PRO 215 dual-15 sub. Designed for mid-sized line array applications such as live theater, houses of worship and more, features include integrated Dante networking, built-in DSP and innovative flying hardware. D.A.S. 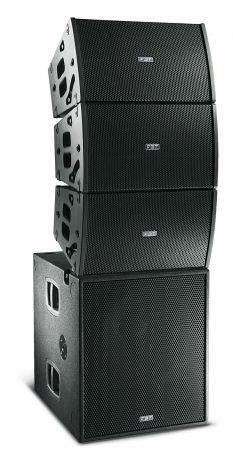 (www.dasaudio.com) demoed the birch ply Vantec-20A 1,500W curved source line array, which is designed for mid-size reinforcement and installs. DAScontrol offers quick array setups and easy alignment without external processing using presets from the 20A’s rear panel. Options include rigging bumpers, transport dollies, protective covers, locking pole mount and the 2,000W Vantec-118A powered sub. d&b audiotechnik officially launched its GSL series. d&b audiotechnik (www.dbaudio.com) made the first public showing of its next-generation, large-format GSL system. The SL line array has two (80- or 120-degree) 4-way boxes with dual 14-inch woofers, two side-firing 10-inch drivers, a horn-loaded 10-inch cone MF and three 1.4-inch exit HF drivers. LF is handled by flown and/or ground subs with two forward 21-inch woofers and a rear 21 that creates a cardioid pattern. FBT (www.fbt.it) came on strong with two new VERTUS column array entries and two install-oriented products, but all ears were on its new Horizon VHA (Vertical Horizontal Array) system with four 6.5-inch woofers and a 1.4-inch exit HF compression driver on an 80×20-degree waveguide. 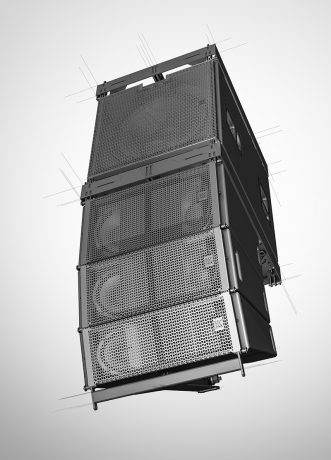 Multiple top cabinets can be flown or ground-stacked with matching 12- or 18-inch powered woofer options. HK Audio (www.hkaudio.com) debuted its Cosmo line array system. 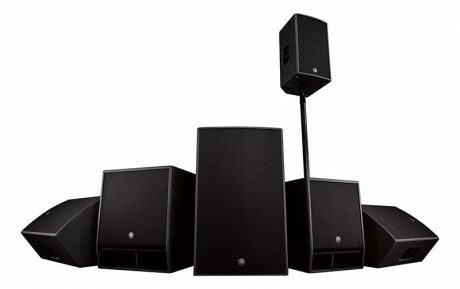 The C8 top unit has 80-degree horizontal directivity from a compact 60 x 45 cm footprint enclosure with two 8-inch woofers and a 1.4-inch exit neodymium HF unit. All designed for efficient truck packing, matched dual-6.5 and twin10-inch systems are also planned and a wide range of rigging hardware and a single-18 sub completes the family. 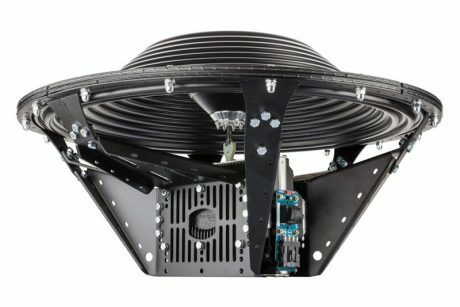 L-Acoustics (www.l-acoustics.com) showed new tools and improvements to its Soundvision, LA Network Manager and launched the P1 AVB processor and upcoming measurement platform that offer automated assistance in setting up L-Acoustics’ systems. Soundvision’s Autosplay and Autofilter provide mechanical and electrical recommendations for optimizing coverage and consistency. LA Network Manager’s Autoclimate integrates temperature and humidity data, for adapting system response to changing atmospheric conditions. 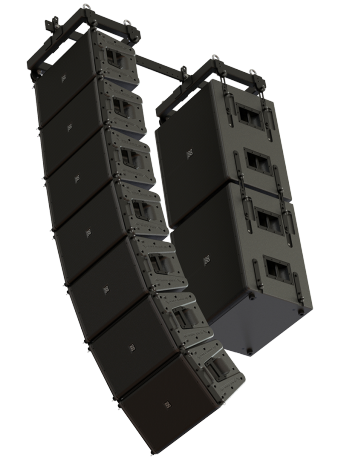 Outline (www.outline.it) builds on its popular Butterfly designs with Superfly, a new compact dual-10 line array enclosure that can integrate with the existing Outline portfolio and paired with any of its subwoofer designs. Powering is via Outline’s DSP-equipped X8 amplifiers and Superfly also supports the new Newton FPGA-based processing platform for networked management and control core. Powersoft (www.powersoft-audio.com) unveiled a new M-force 301p01 transducer with updated features, available as the M-force 01 long-throw linear motor for infra sub applications and the M-force 02 short-throw linear motor for high acceleration applications. Based on a patented, moving magnet, linear motor structure, M-Force is engineered to squeeze all available power granted by switching mode amplifiers to deliver maximum SPL. RCF’s (www.rcf-usa.com) new LF offerings include the new TTS15-A single-15 and TTS18-A Mk2 single-18 active subs. The TTS15-A is powered by a 1,100W RMS Class-D amp for a 40 Hz – 400 Hz response and 134 dB max output. The TTS18-A Mk2 improves on the original TTS18-A with a 1,400W amp, with response down to 35 Hz and 136 dB max SPLs. Proprietary RDNet lets users remotely monitor all components in the cabinet, and access onboard DSP parameters. Enclosures can be used vertically or horizontally, with top and side M20 pole receptacles. TW Audio’s (www.twaudio.de) VERA20 line array has twin 10” woofers and a 1.4” exit HF driver offering 12° vertical and 80/120° horizontal dispersion. Arrays of up to 24 elements can be formed, while EasyRig hardware makes for fast flown setups by a single tech. Options include the flyable VERA S32 cardioid sub with 18” and rear-facing 14” drivers. 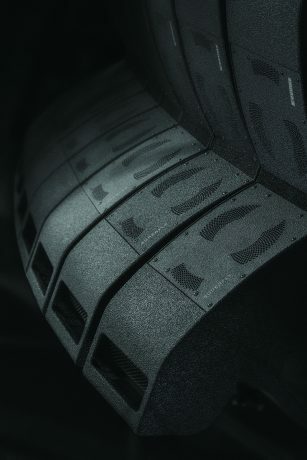 Void Acoustics (www.voidacoustics.com) expands its medium-format Arcline line array system with the single- and double-18 Arcline 118 and 218 subwoofers. Designed for ease in touring, the Arcline 118 and 218 are arrayable with one another in multiple configurations, including cardioid. All feature FEA-modeled hyperboloid porting for reduced port noise and air distortion and an advanced internal brace design for weight reduction and increased cabinet rigidity. Yamaha (www.yamahaproaudio.com) previewed new lines of powered (DZR/DXS-XLF) and passive (CZR/CXS-XLF) speakers and subs. Incorporating 96k Hz DSP and advanced FIR-X tuning, the DZR and DXS-XLF models will be available with Dante integration. The CZR and CXS-XLF series are designed for installs where power amps are used remotely. All feature plywood cabinets with flypoints for eyebolts and U-brackets for convenient flying and hanging. Shipping begins summer 2018 (regular models), with Dante-equipped models due in winter 2018. As promised, 3D sound and immersive audio for sound reinforcement was a major theme at Prolight+Sound. 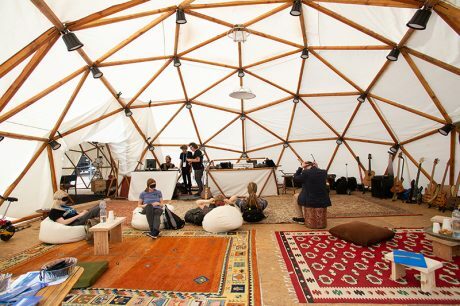 The Klangdome Immersive Technology Forum was a special outdoor 3D sound dome installation with 31 waterproof speakers and a vibrating floor — all fed by six 6-channel Class-D amplifiers. Amadeus Audio’s (www.amadeusaudio.fr) Holophonix processor brings together different spatialization techniques, including Wave Field Synthesis, High-Order Ambisonics, Distance-Based Amplitude Panning and more, enabling intuitive placement and movement of sources in a 2D or 3D space. Holophonix lets users combine different artificial reverbs, homogeneously blending sound materials and fine-tuning the perceived sound depth. Astro Spatial Audio (www.astroaudio.eu) and ribbon speaker specialists Alcons Audio (www.alconsaudio.com) offered immersive sound demos. Astro’s SARA II 3D audio rendering engine is an immersive audio tool for live and entertainment venues, making fully object-based, immersive audio accessible for the end-user. Each SARA II engine offers up to 64 MADI- or 128 Dante-configurable network pathways at 48k Hz/24-bit resolution. All paths are assignable to at least 32 audio input channels — all render-able to 128 independently processed outputs. 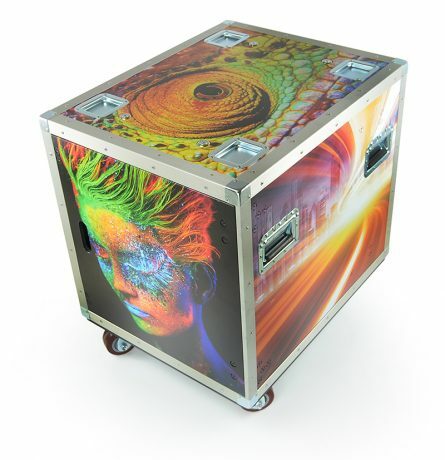 d&b audiotechnik (www.dbaudio.com) demoed its d&b Soundscape immersive hearing toolbox. Soundscape operates on the user-friendly DS100 platform, empowering sound designers and engineers with multi-dimensional source placement, acoustic room simulation and signal matrix processor capability. D.A.S. 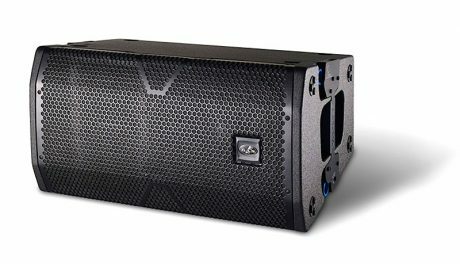 Audio (www.dasaudio.com) showed the Vantec-20A 1,500W curved source line array, designed for mid-size reinforcement/installs. DAScontrol offers quick array setups and easy alignment without external processing with presets from the 20A’s rear panel. Options include the Vantec-118A powered 2,000W subwoofer. The KOS 3 operating system offers new features when working for the KLANG 3D in-ear mixing system. 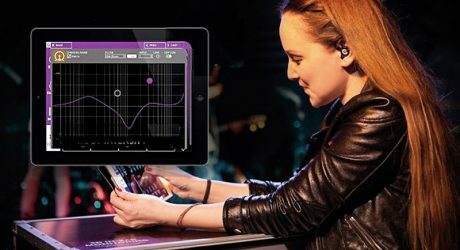 KLANG:technologies (www.klang.com) announced the KOS 3 operating system that provides new features and improved workflows when working with the KLANG 3D in-ear mixing system. New tweaks include parametric EQ on each input signal — ideal when no dedicated monitor console is available. KOS 3 also features an output mix EQ with presets and output phase invert, along with enhanced scene recalls and a new preset screen. 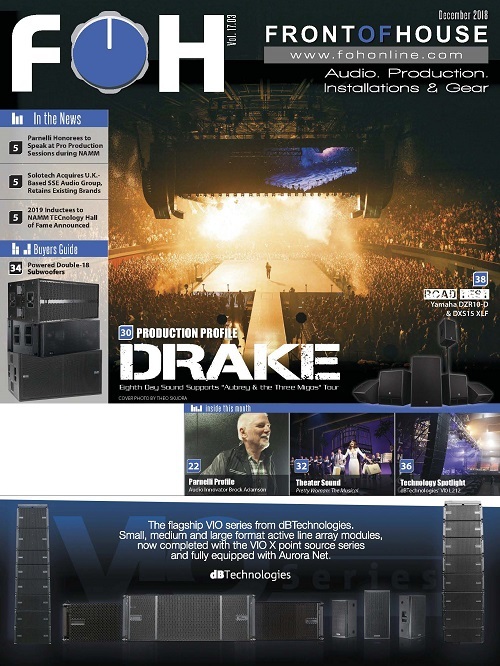 L-Acoustics (www.l-acoustics.com) — having proven that spatialization can work on large-scale events, such as the Lorde tour featured on page 26 of the April, 2018 issue of FRONT of HOUSE — was showing off its L-ISA immersive audio rig. Clear-Com’s (www.clearcom.com) FreeSpeak II IP Transceiver (IPT) has AES67 compatibility, low-latency signal distribution, high performance audio routing and the ability to address FreeSpeak II wireless beltpacks across a user’s LAN. 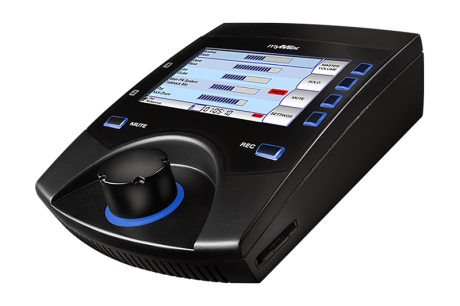 It also supports a higher density of users per transceiver, while a firmware update allows existing FreeSpeak II beltpacks to work with the IPT. Glensound’s (www.glensound.co.uk) new Beatrice intercom systems offer five models (B4, D4, D8, R4, and R8) using network audio for clear 48k digital audio distributed over standard local area networks in real-time. Being both Dante and AES67 compliant, interfacing to other manufacturers’ equipment within one’s AoIP infrastructure is said to be trouble free. 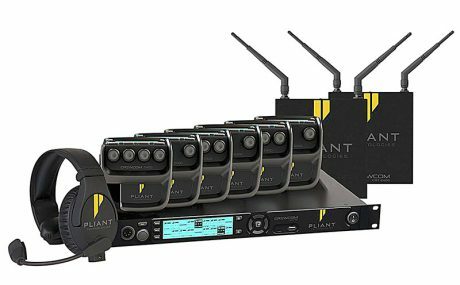 Pliant Technologies (plianttechnologies.com) is shipping its CrewCom wireless intercom in 2.4 GHz and 900 MHz versions. The scalable, expandable system features compact full-duplex RF packs, multiple simultaneous frequency bands and 1,024 conferences, providing the flexibility of a matrix/party-line without the cost, and is based on a decentralized platform that puts system resources where they are needed. Reidel’s Bolero intercoms can now operate in stand-alone mode. 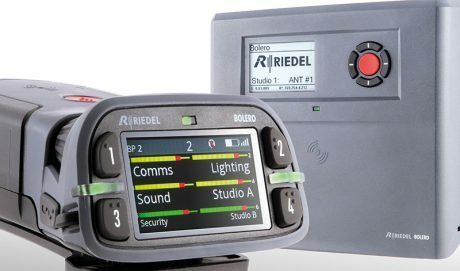 Riedel (www.riedel.net) unveiled the Bolero Standalone Application, a license-enabled upgrade that adds performance enhancements and standalone capabilities to the popular intercom system. With the app, antennas are daisy-chained in a line or a redundant ring via a low-latency, synchronized TDM network for a solution that’s plug-and-play with no IP configuration needed. The update also adds individual rotary programming, Bluetooth headset support and a QuickMute feature that lets users easily set all beltpack channel volumes to zero. RTS (www.rtsintercoms.com) launched ODIN OMNEO, a digital intercom matrix that puts IP technology and analog connectivity into a single rackspace package. The unit can integrate into sophisticated, large-scale intercom operations, while a single ODIN can grow from the basic 16 ports to a maximum of 128 ports; up to eight ODIN units can interconnect to create a single matrix with up to 1,024 ports. Alteros (www.alteros.tech), an Audio-Technica company, showed new handheld transmitters, including the GTX24-HHP live performance version for its GTX Series Ultra-Wideband wireless. The system features MADI, Dante and AES67 digital outputs, uncompanded 48 kHz/24-bit performance and operates in the (no-interference) 6.5 GHz range. Shipping this summer, the handheld GTX24-HHP “performer” version accepts standard 1.25”/28-thread interchangeable capsules, offering a selection of mic sounds from A-T and other manufacturers. Crest Audio (www.peaveycommercialaudio.com) launched lightweight Class-D ProTour Series amps with Dante connectivity and integrated DSP (IIR HP/LP crossover filters, RMS compressor, parametric EQ, alignment delays, white/pink noise and more). Four models are available with two, three or four channels and outputs from 1,000 to 2,500 watts. 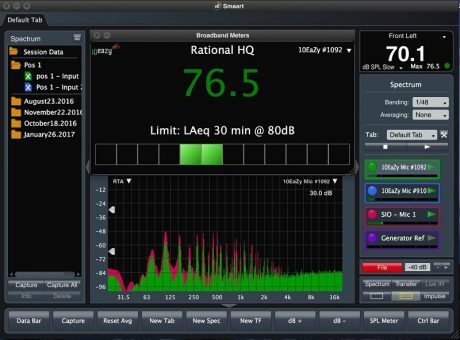 Rational Acoustics’ (www.rationalacoustics.com) v8.2 for its Smaart measurement platform reworks its SPL measurement functionality and integrates with SG Audio’s 10EaZy SPL measurement hardware. It also adds: automatic triggering of 14 sound level metrics when logging/metering an input; an SPL history window; SPL alarms and more. 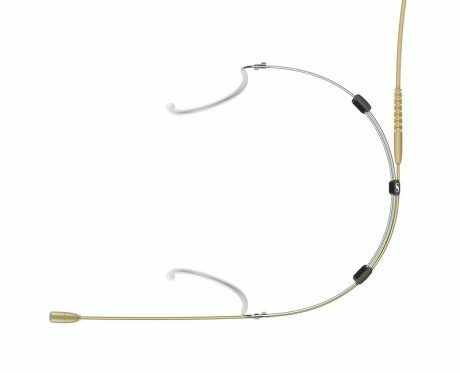 Sennheiser (www.sennheiser.com) launched its “Essential Omni” range of mid-priced omnidirectional headset and lavalier mics. These are available with 3-pin terminations to connect to Series 2000 to Digital 9000 bodypacks or 3.5mm for XS Wireless and Evolution models. Both headset and lav models are offered in black or beige and include a pop windshield. Shipments begin in July. Ultimate Ears’ (www.pro.ultimateears.com) new $2,199 UE Live flagship custom IEM and the $699 UE 6 PRO share the company’s hybrid acoustic architecture. 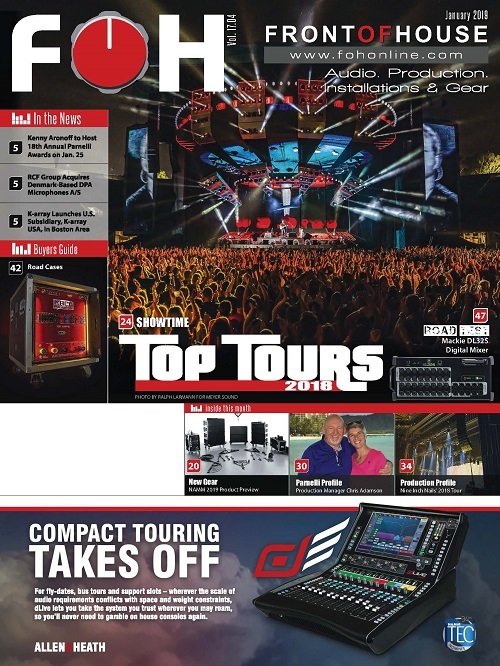 And UE upgraded its entire lineup with the Ultimate Ears IPX Connection System, a durable new sweat-proof cable connection designed to withstand touring conditions with minimal maintenance issues. 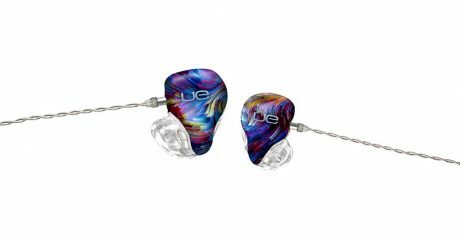 UE Live features six balanced armatures, one dynamic driver and True Tone Plus — an upgraded version of its proprietary True Tone Drivers. The UE 6 PRO has two dynamic drivers for MF and LF with True Tone Drivers for clear HF response. Whirlwind ColourBond printing can bring custom graphics to nearly any surface. Whirlwind (www.whirlwindusa.com) ColourBond Printing is a proprietary high-res printing process that adheres to surfaces from aluminum to plastic, with amazing durability, allowing users to color code, label, print logos or simply freakify any project. So far, Whirlwind has printed onto everything from wall- and gang-plates, to rack panels and the company’s Cyclone road cases, but the sky’s the limit. In addition to a stunning visual presentation, Whirlwind can also raise type and print braille for the visually impaired. XTA (www.audiocore.co.uk) DNA120 amplifiers have optional 96 kHz Dante inputs, deliver 7,000 W/channel (2 ohms) and employ XTA’s DSP platform. The DNA Series can connect to an analog/AES3/Dante source and make it available over the network, as well as processing four more channels with analog outs to DNA Series (or traditional) amps. Remote control is via Ethernet, USB and RS-485, with AudioCore configuration and tuning/monitoring by the free DeltaDirect iPad app. There were other cool new products from the three shows and we will present more of these at fohonline.com and in future print issues of FRONT of HOUSE. 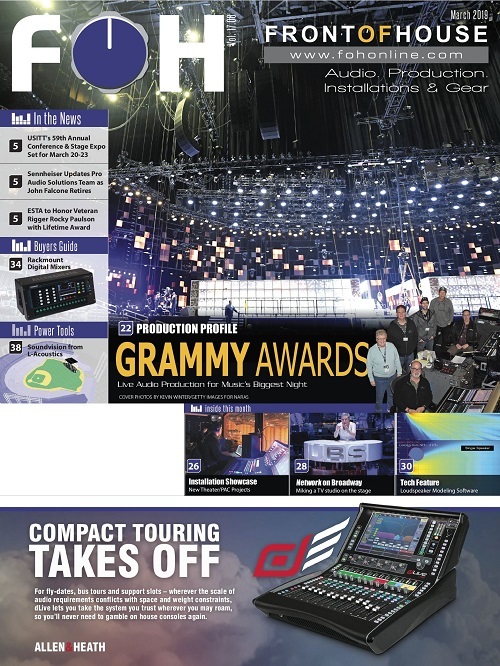 Meanwhile, both Prolight+Sound and Musikmesse return to Frankfurt from April 2 to 5, 2019; and next year’s NAB exhibits will be held April 8 to 11, 2019 in Las Vegas. Mark your calendars now and see you there!